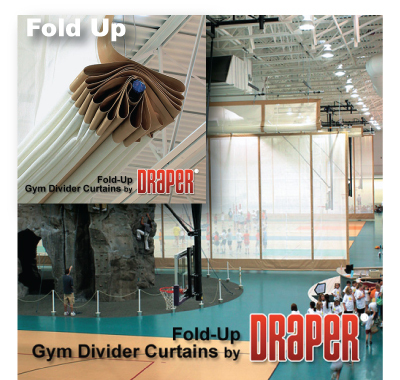 Nickerson Corporation’s Gym Divider Curtains allow a gym to be fully versatile and allow multiple sports to be going on at once. 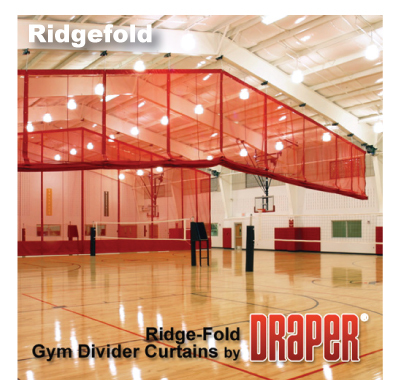 Divider curtains provide a safe environment for everyone in the facility. 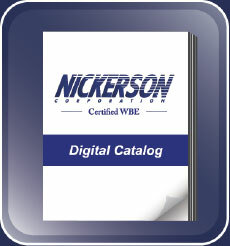 We offer Standard and High Torque Mechanical Winch systems that keep our users happy. 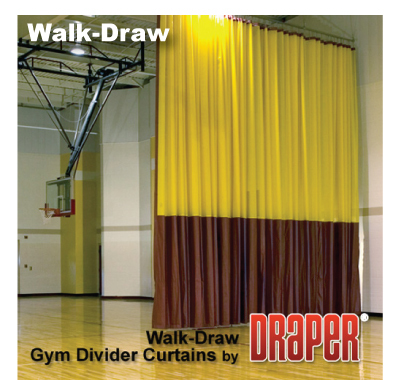 Draper Gym Dividers are constructed of the highest quality reinforced vinyl. 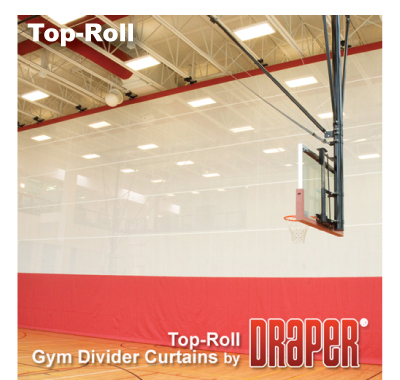 Select a vinyl-coated polyester mesh to facilitate air flow, a tough solid vinyl to provide a visual barrier between play areas or a combination of mesh on top and solid on the bottom. Draper 18 oz. divider curtain vinyl and divider curtain mesh are certified by GREENGUARD® to meet the requirements for GREENGUARD® Gold Certification, the most stringent and strictest off-gassing standards. 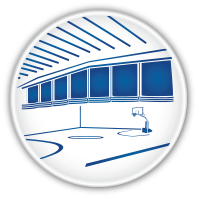 GREENGUARD® Gold Certification evaluates the sensitive nature of school populations combined with the unique building characteristics found in schools, and presents the most rigorous product emission standards. GREENGUARD® Gold Certified products are low emitting and contribute to a safe and healthier indoor environment for school-aged children. 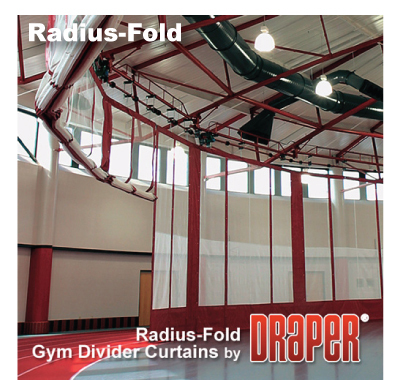 Draper Inc. has been manufacturing athletic equipment since 1902. 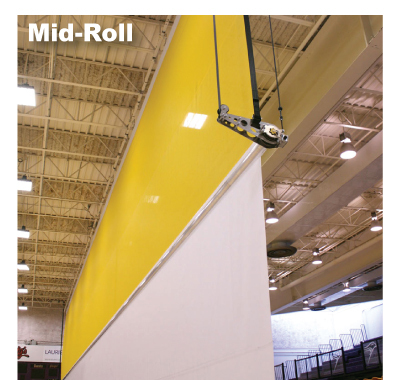 Their extensive experience creating gym dividers, wall pads, batting cages, and much more makes them experts in the industry. 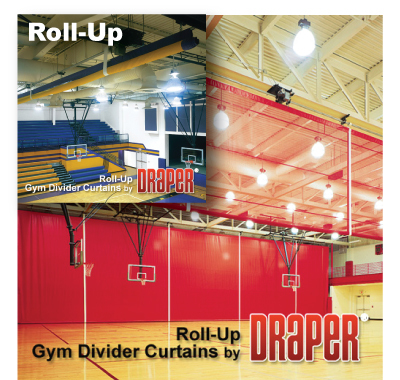 You can count on quality and competitive prices that will exceed your expectations on all of Draper’s equipment.